We all have our own squads, but others seem to be having a lot more fun than ours. 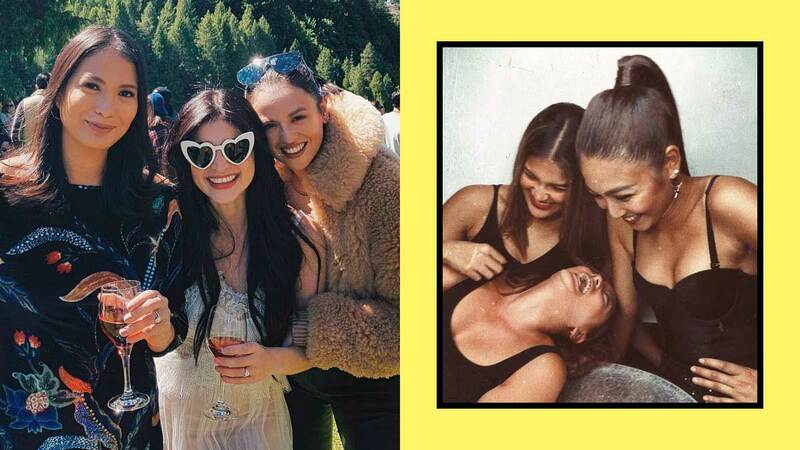 Celebrities define #SquadGoals when it comes to their Instagram feeds, travel destinations, and even wedding photos. Here are local celeb cliques we'd love to hang out with for a day or two (or a week, or a couple of years). These girls—along with a few other close friends—paid a visit to Siargao recently and we can't help but want to recreate their group photos with our own squad! They've been posting a lot of double tap-worthy photos (check out the one with Nadine and Kiana in bathrobes), singing duets on ASAP, and participating in beach cleanups. The It Girls have certainly grown up (read: they're mostly moms now! ), and that's just made them more awesome. Georgina Wilson was first hailed as an "It Girl" back in the 2000s. Her circle of friends includes Liz Uy, Anne Curtis, Bea Soriano, Isabelle Daza, and Solenn Heussaff, and they were later dubbed as the "It Girls." The blogger besties (who blog, obvie) are composed of Kryz Uy, Laureen Uy, Camille Co, Patricia Prieto, Nicole Andersson, and Lissa Kahayon. What are they usually up to? Nothing much, they just attend Britney Spears concerts in matching swimsuits and take the most awesome photos of each other. Their supportive "jowas" are also a plus: they could teach our own partners a thing or two about being Instagram boyfriends. We've been able to see Zia Dantes and Scarlet Snow Belo's playdates on Instagram and they seem so fun! They recently watched a film with the Kramer kids as well. Actually, we just want to be besties and swap fashion tips with these adorable little girls already.